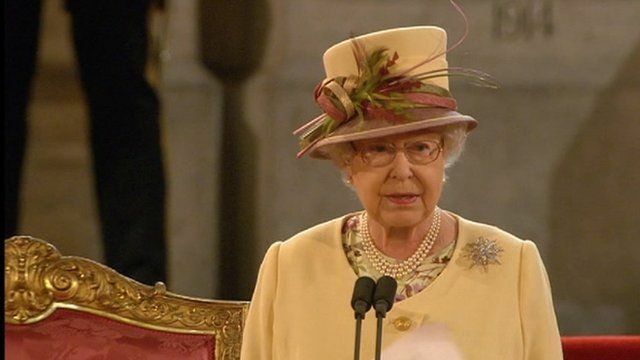 Highlights as Queen addresses Parliament Jump to media player Highlights of the Queen's visit to Parliament event to celebrate her Diamond Jubilee. 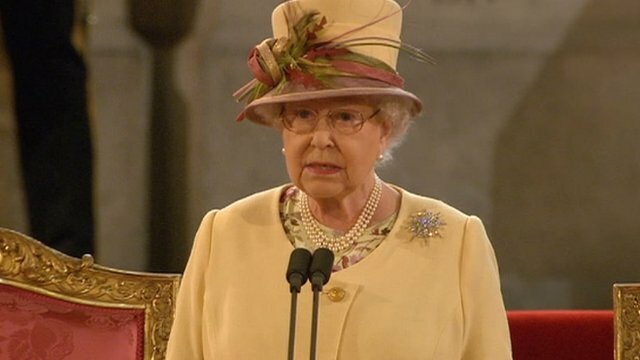 Queen addresses Parliament Jump to media player The Queen has made a special address to both Houses of Parliament to mark her 60 years on the throne. The Queen addressed both Houses of Parliament where she was presented with a specially-commissioned stained glass window, donated by members of both houses. Here are some highlights of the visit to celebrate her Diamond Jubilee as she spoke of her family and the 12 prime ministers who served her.